Joker Pro is a 5 reel, 10-pay line Video Slot from Net Entertainment, and while originally released as a Mr. Smith Casino exclusive, it’s now available to players around the world, thanks to a new licensing agreement which allows all Net Entertainment sites to offer the title. 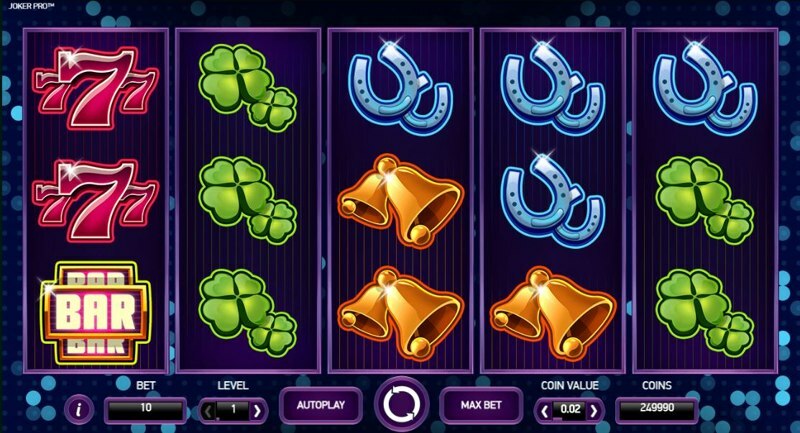 Using just six symbols, Joker Pro isn’t your typical slot, by any means. There aren’t even any wild symbols – but there is a scatter symbol, which awards entry to the bonus. While many players are initially “put off” by the look, feel, and play-type that’s used in Joker Pro, once you get into the game, you begin to see why it’s relatively popular, and it’s probably not going to go down in history for being one of Net Entertainment’s most popular games – but it’s worth checking out if you’re in search of something a bit different. Themed around a Joker, the game is designed much like Net Entertainment’s Starburst and Twin Spin, and in fact, you’d be forgiven for thinking Joker Pro was indeed Twin Spin – the reels look almost identical, and the symbols used are also very similar. For example, you’ll find Bells, Diamonds, Bars, and “7s” on the reels, with the only non-Twin Spin symbol being the four-leaf-clover. Confusing design aside, Joker Pro is available to players on desktop and mobile, and Net Entertainment have ensured the game runs smoothly across most modern devices, regardless of Operating System or device age. While not so much a feature, if you land three of the scatter symbols in the centre positions on reels 2, 3, and 4, you’ll instantly win 1,000X your bet. You have to agree that this is a healthy win, and one well-worth aiming for. 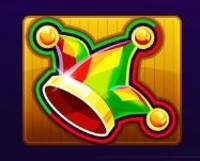 If you manage to land one or more of the joker hat bonus symbols, anywhere in view on reels 2, 3, or 4, you’ll start the feature (although it’s more a re-spin than a feature). As soon as you’ve landed the bonus symbol, you’ll notice that reels one, and five become completely wild, sticking in place for a free re-spin. What’s more, the bonus symbol that triggered the bonus also turns into a wild, and locks in place, which is why it’s even better when you can land 2 or 3 of them! The re-spin will begin, and if you manage to land another bonus symbol, you’ll be awarded yet another re-spin, with all the original wilds locked in place, alongside the newly-landed bonus symbol. If, on the third re-spin, you get yet another bonus symbol, again you’ll receive a re-spin, with the new wild locked in place, giving you two full wild reels, and 3 reels with one wild on – a guaranteed big win! After the final re-spin (no matter how far you get), you’ll then be returned to the base-game, where you continue spinning as normal.